Get pumped. Get huge. Look vascular. Bulk up. Bulge out. 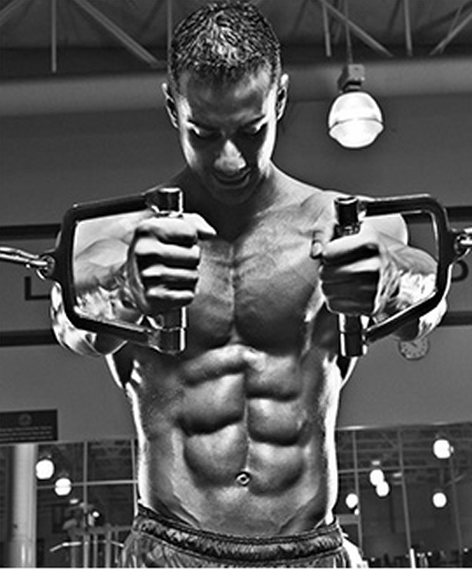 Get ripped. Gain libido. Unmatched muscle fullness. Get swollen. Jack3d. Explode. C4. Cellucor. Detonate. Supplement. Depth. Massive. Notice the claim for strength. Is it Legit? Turns out, no. Pump is solely an appearance thing. The actual vascularity has no direct relation to strength. Everyone who takes them will tell you they get a boost of energy and feel stronger. This is due to the amount of caffeine and sugar in them, which will let you run faster and work harder, so that later you are stronger. Having fresh oxygen and hydration in your blood will let you work harder without fatigue. This is true. The false part is that the “pumped up veins” gives you strength. Fact: The only way to get faster and stronger is to run more and lift heavier. Supplements themselves do not give you strength, speed, or agility. It is the energy they provide, in carbs, caffeine, and available ATP, that will help you workout longer, push harder, and recover faster. But you know what? Really good organic nutrition that is timed correctly can do the same thing. Personally, I use things like yerba mate, kombucha, ginseng, ginger, matcha, and other organically found nutrients. I’m not a fan of the synthetic lab-made materials in these supplements, but that’s my individual stance. Plus, the one time I tried a sample of Jack3d, I practically had a panic attack. 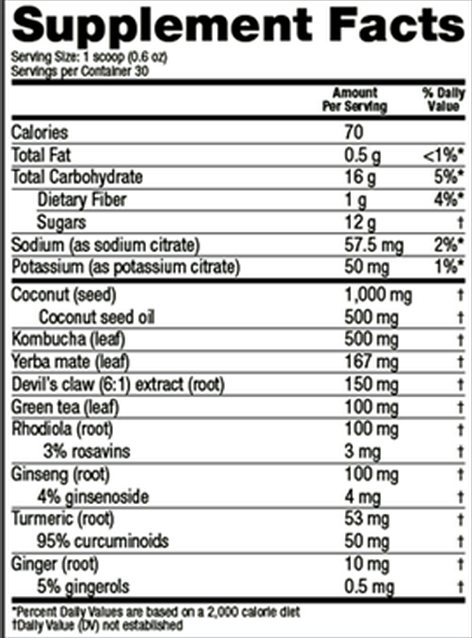 Below are the nutrients in the pre-workout fuel I take sometimes. It can be found here. How do I get strong without these powders? You need to push your muscles past the limit they are used to being pushed. If you normally use 10lb dumbbells, you will need to work up to 12’s and then 15’s. This is your strength increasing. Personally, it has taken me a while to get up to 20lb dumbbells. But once you realize you can do 3 reps, 4, 5, and then 8, you did it! You used a heavier weight and your muscles will respond to that challenge. They will recover by building more muscle fibers so that next time the weight won’t feel so heavy. If you can do more than 12 reps with the weight you are currently using, increase the pounds. Bottom Line: Those who take supplements but make no changes in the way they train and eat will not see any improvements. Lifting weights 5-6 times a week will increase muscle and strength, not a supplement. Supplements can help give you energy and reduce fatigue, and so can food. This is a great article. When I started my fitness journey, I read a lot about supplementation in order to figure out what I would benefit the most from. At the end of it all, I figured out that the only “supplement” I am willing to invest on is a whey protein because I am unable to get the necessary amount of protein through whole foods. I don’t really consider it a supplement; I look at it as food. I have invested in a pre-workout supplement, and I really like the energy and focus that I have when I’m on it, but I am also able to perform without it. I buy products with no proprietary blend because I like to know the amount of each ingredient that I am getting per serving. As far as the “pump”, I don’t really care for it. Thank you for reading, Ivan! From all my experience in the gym, training, and being a woman, most are AFRAID of bulking up and looking “manly.” Those men definitely look like huge bulky blocks of manliness, so having a muscular woman on the packaging would not only scare women away, but also men. I don’t know the exact reasoning because I’m not the marketing teams, but this my best guess!